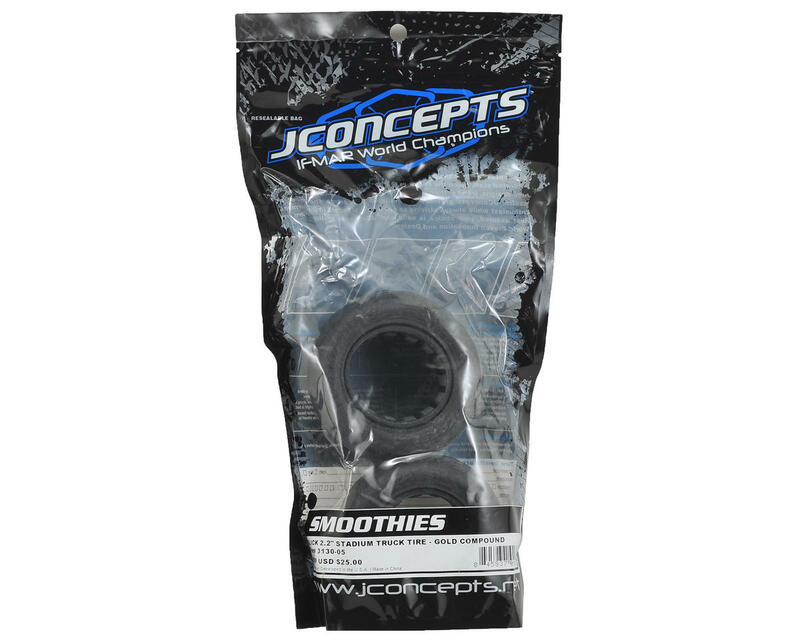 This is a pack of two JConcepts Smoothies 2.2 Truck Tires. In some conditions in off-road racing, there is no denying that a slick tire is the fastest way around the track. Throughout the racing calendar year, there are several tracks where slicks in gold or green compound are the go-to tire. In damp weather, indoor clay surfaces become so tacky that the lower the tread or to the point of zero tread is an advantage. For years drivers have sanded, ground and hand sculpted tires in search of that elusive slick carcass for racing. Now, with JConcepts, racers have the slick option straight out of the package. Released as a 2.2” bead mounting diameter, the JConcepts Smoothies mount straight to the latest generation wheels for that all important reactive feel. The carefully profiled tire carcass rolls through the turns with efficiency while the maximum smooth surface area grips the specialty surfaces like no other. The Smoothies include Dirt-Tech inserts which have made an immediate presence on the racing scene since their release. The identifiable gray color with custom sculpted features, are blended into the newly developed insert material which provide racers a durable option capable of being used in medium to extremely high-traction conditions. 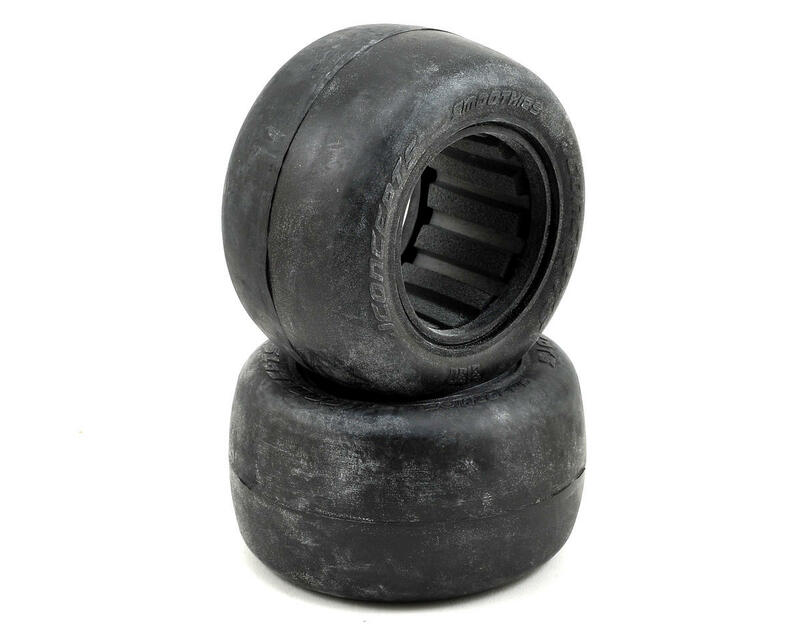 After completely mounting the tires to wheels, it is recommended to scuff the slick tires with sandpaper or scouring pad to have a slightly dull or rough finish to begin practice or racing.